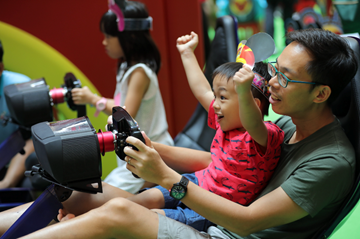 Attention to all Disney and Mickey lovers, in anticipation of Disney Junior’s latest animated series, Mickey and the Roadster Racers, kids and families in Malaysia have the chance to get Roadster Ready at the “Disney Junior Mickey and the Roadster Racers Carnival” and earn their very own Roadster Racer’s license now. 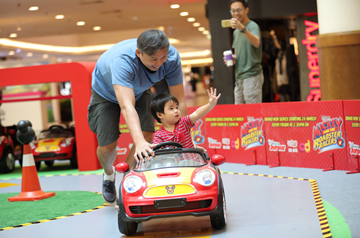 Beginning 15 March, this exciting interactive experience will see a Mickey and the Roadster Racers branded truck travel to three locations across Malaysia as below. 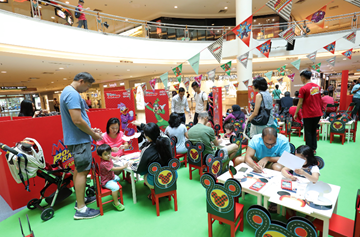 The larger-than-life truck will unfold into an exciting and interactive family carnival where kids and families can enjoy a variety of Mickey and the Roadster Racers themed activities. 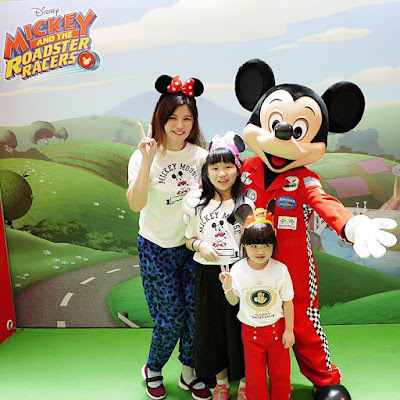 My girls and I had so much fun time together at Disney Junior Mickey and the Roadster Racers Carnival at Mid Valley Megamall last Saturday. Not only did they enjoy all the exciting games for Free, they also received their very own cute licence with their photo and name printed, and they have also met their favourite cartoon character – Mickey in racing suit! I heard that you can’t even see Mickey in racing suit in Disneyland, but only at Disney Junior Mickey and the Roadster Racers Carnival. So, what are you waiting for? Mark your calendar and head over at Disney Junior Mickey and the Roadster Racers Carnival now. Mickey and the Roadster Racers will premiere on Disney Junior on this Friday, 24 March at 2.30pm. Remember to catch it on Astro Channel Ch 613. I was there last Saturday. So many people lining up at that event. If only my lil' ones are here, they will be happy while enjoying all these rides. looks so cute! i think my friend who loves disney will love this! this is exactly the team bonding spirit that every family should have n practice...you guys look like you were having fun! it's look fun. A great activity for children and parent. My son love to drive the Mickey car. Great day to spend during school holiday. Saw it at Mid Valley. All the kids are having fun. EEeee why are they not stopping in Ipoh? I'm sure there are plenty of fans here!! Aww, so adorable! I like how kids can have fun with their parents when they have activities like this! Was there with my kids. They do have fun for driving! Such a fun event during school holiday, will try to drop by soon.